The Canada Rd, Byfleet premises has a curved (half moon) style roof. Look closely at the roofline shown in the row of 6 CCC Minis photo and the curve is there. You've made me go for a quick look. Those of you with 'Mini' by Rob Golding should find the 6 CCC Minis parked outside of the Canada Rd premises photo on page 68 (1st edition at least). Also, in 'Motor' (UK magazine) dated 2 Jan 1982 there's a feature on John Cooper with one of the photos used probably taken at the same time as the inside and outside Byfleet photos with JNC sitting in one of the CCC Minis. So, sometime in late 1967/early 1968 there's possibly an issue of Motor with these photos, when they were originally taken/published. The Surbiton garage is now open again, occupied by a Porsche specialist, however as they are an MOT station you can book an appointment to have your Mini MOT'd at the old works. Well spotted!.......the curved roof line in the scanned photo below confirms the inside photo was also at Canada Rd, Byfleet and not Surbiton. Good work chaps, they must have just moved at this point? Both buildings are impressive to look at compared to today's corrugated boxes. 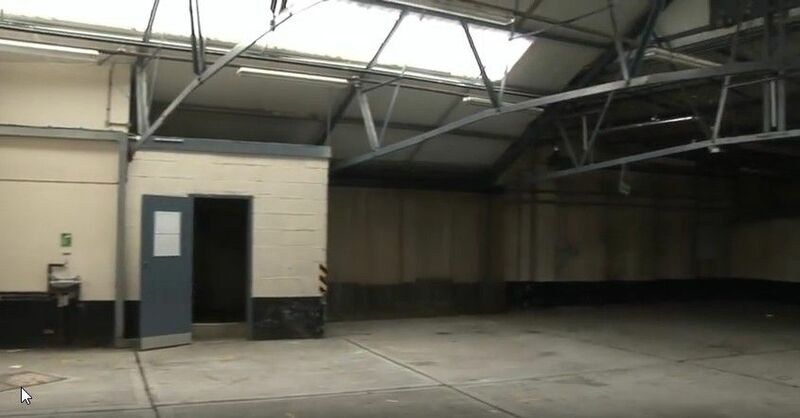 "In 1965 Cooper Cars relocated to Byfleet in Surrey and the garage was leased to the Metropolitan Police as a police car depot and subsequently as a forensics site." Clive Abrahams adds, "I joined TDV Traffic Unit at its location at Hampton in November 1967. 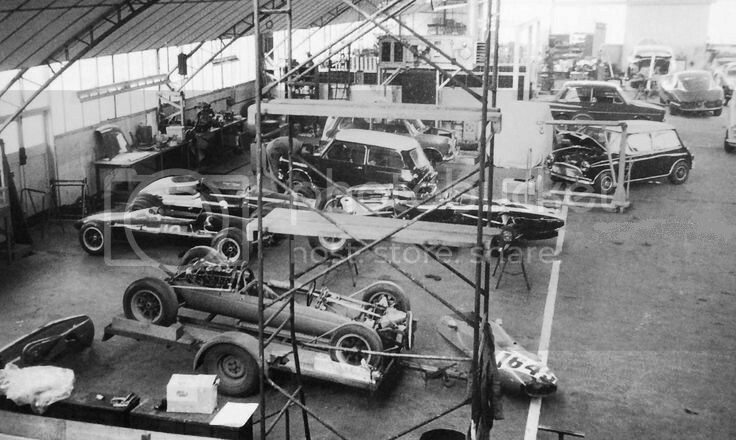 We moved into our new garage at Hollyfield Road, Surbiton on 1st April 1968. 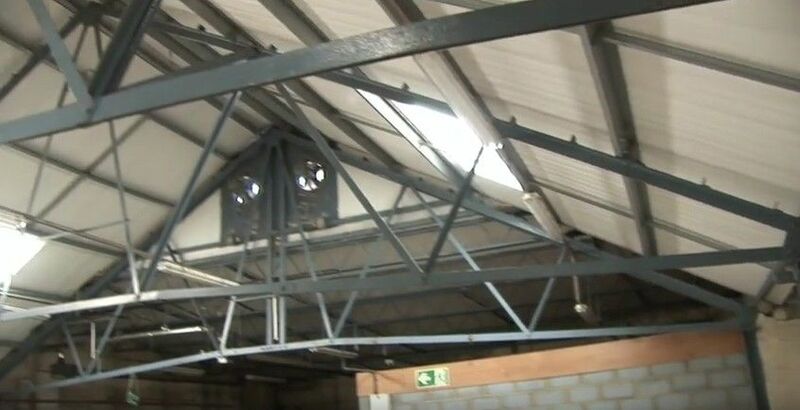 The new garage premises were owned by and leased to the Metropolitan Police by one John Cooper." 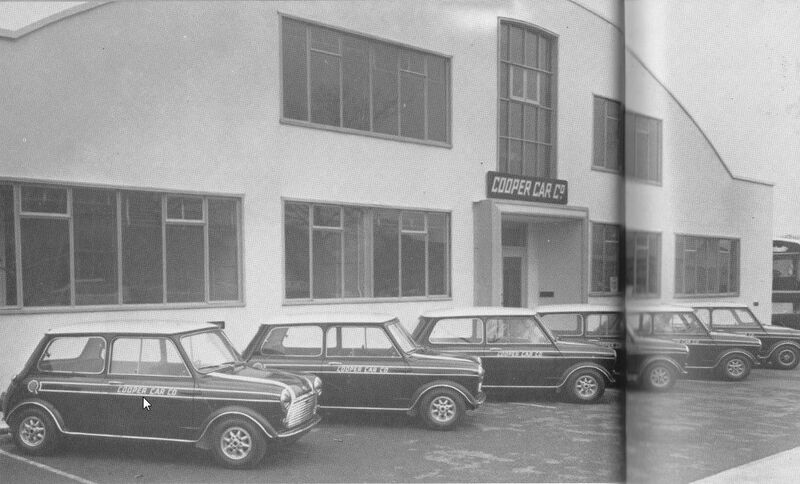 "DCN's Cooper Cars book, Cooper moved from Hollyfield Road and "the old team workshop in Langley Road" to the former Thomson & Taylor premises in Canada Road, Byfleet between Dec. 1965 and Feb. 1966, about a year after Cooper was purchased by Chipstead Motor Group." "Cooper Cars settled in Canada Road off Oyster Lane, Byfleet, the place in which the company eventually died, after its acquisition by the Chipstead Motor Group. If you drive around the south side of Brooklands on the public road, heading west you come to the narrow bridge in the railway embankment with the Brooklands site and the remains of its Byfleet Banking to your right, and there's a small trading estate to your left. That's the Canada Road location, turn in there, bear right and the last industrial building on the right, hard up against the railway embankment is - as I recall it - the final resting place of the Cooper Car Co. It's in the back carpark there that Ron Dennis began work with Chipstead, cleaning imported Moskvitch and Lada cars as part of their pre-delivery inspection. Later Bob Jankel and Panther Cars took over the premises, I think, and it was there that they built their six-wheeler roadster road car."